We love the fact that “superfoods” are multi-taskers. These are the foods that are loaded with various disease-fighting nutrients, generally without providing too many calories, and on top of that, these are delivered in a yummy form. 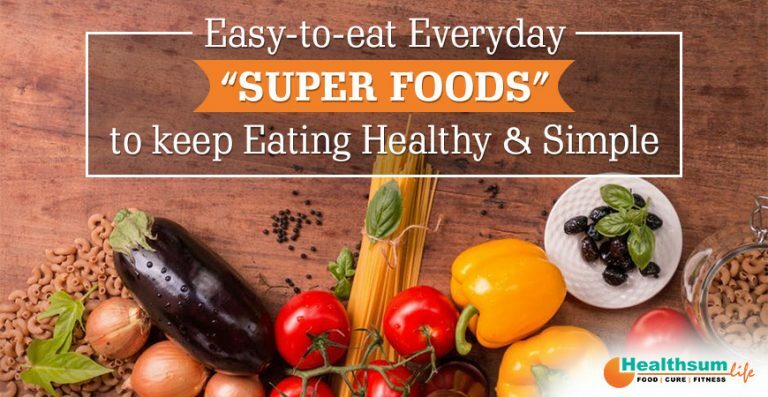 What we have an aversion to some foods that are considered “super” is that they are exotic and cannot be eaten on daily basis. With all the other healthy-eating suggestions, we need to bear in mind (eat fish twice a week; substitute half your grains with whole grains), it’s not possible to memorize a list of eat-this-once-a-week or once-a-month foods. All berries are considered to be great sources of fiber which is considered vital for a healthy digestive system. Fiber also encourages effective weight loss. Raspberries are thought to contain ellagic acid, a compound that has anti-cancer properties. Blueberries are packed with anthocyanins, the antioxidants that help to keep your memory sharp as you age. Strawberries are known to contain skin-firming vitamin C.
Known to be a great source of high-quality protein, eggs give your meal more staying power as well. Even if you are keeping a check on your cholesterol, a daily egg can possibly fit into your eating plans. Egg yolks contain lutein and zeaxanthin that are known to keep your eyes healthy. Nuts are wealthy sources of heart-healthy unsaturated fats. It has been estimated that those who consume nuts add, on an average, an extra two and a half years to their lives. Walnuts are considered to be the spotlight-stealers. Walnuts contain high mono- and polyunsaturated-fat content that is known to shrink total and “bad” LDL cholesterol levels whilst preserving healthy levels of “good” HDL cholesterol. Oranges are considered to be a great source of vitamin C. Vitamin C is vital for producing white blood cells and antibodies that battle infections. It is also considered to be an influential antioxidant that helps defend cells from free-radical damage and plays a major role in generating skin-firming collagen. Oranges are also a rich source of fiber and folate. Sweet potatoes are a great source of alpha and beta-carotene. Your body converts these compounds into the dynamic form of vitamin A, which is known to keep your eyes, bones and immune system strong. These phytochemicals also work as antioxidants, getting away with disease-promoting free radicals. One medium sweet potato or about 1/2 cup of sweet potatoes provides roughly 4 times the suggested daily intake of vitamin A, along with some vitamin C and B6, potassium, manganese. This green powerhouse is packed with vitamins C, A and K and A along with folate. Another reason broccoli often ranks high on “superfoods” is that it provides a healthy dosage of sulforaphane, a type of isothiocyanate that is thought to prevent cancer by helping to excite the body’s detoxifying enzymes. It has been estimated that if you drink tea on a regular basis, you may diminish your risk of Alzheimer’s, diabetes and keep cancer at distance. Besides this, you have healthier teeth and gums along with stronger bones. Do you know how? Tea contains antioxidants called flavonoids. Irrespective of the range of tea you pick, you are advised to make the most of its flavonoids by drinking it freshly brewed. Spinach is packed with essential nutrients like vitamins A, C and K along with some fiber, iron, calcium, potassium, magnesium and vitamin E. Spinach is an effortless, scrumptious and a great source of folate, a water-soluble B vitamin that helps in the production of DNA and structures healthy new cells, making it particularly vital for expecting ladies. A cup of spinach is considered to contain 15% of the suggested daily intake. Yogurt contains “good bacteria” that facilitate in maintaining gut health and reduce the incidence of age-related intestinal illness. It’s also a rich source of calcium, which helps keep osteoporosis at bay. Only 1 cup of yogurt provides nearly half the suggested daily value of calcium and is loaded with phosphorus, potassium, zinc, riboflavin, vitamin B12, and protein. Why not include these ‘Super Foods’ in your daily diet and feel the difference!